Being a Bay Area foodie and husband of a professional chef, I jumped at the chance for a photo session with John Beaver, the owner of Oaktown Spice Shop. 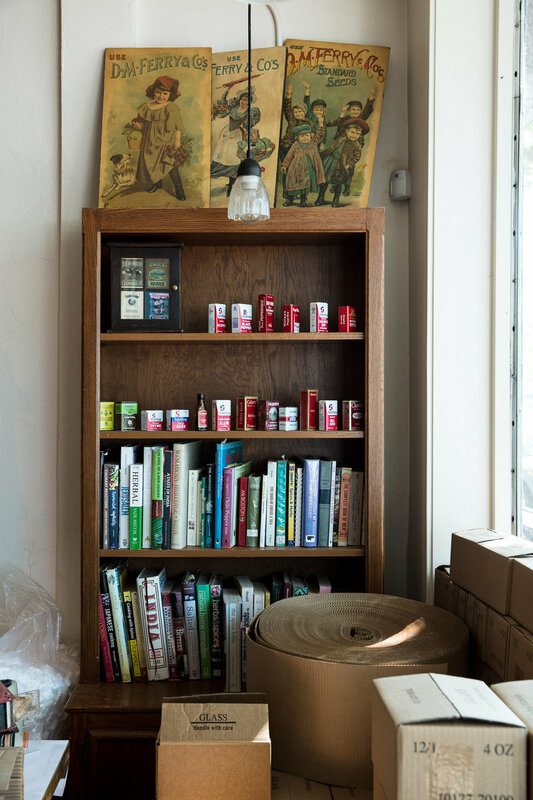 John's shop on lake Merritt was established in 2011 and has become a thriving "go-to" location for restaurant owners and regular folks, to acquire high-quality, reasonably priced, as well as harder to find spices for almost every type of cuisine and cooking. Upon entering Oaktown Spice Shop, you are greeted with a full bouquet of aromas ever changing as you move through the store. John greeted my photo crew and myself with a mason jar of Hungarian Paprika in hand, and gave us a welcoming whiff of one of his best selling spices. As our photo session progressed, John schooled us on various topics related to spices such as the origins and uses, this man knows his spices! Although John sells his spices online, his rustic shop is a treat to visit and a great place for a portrait. If making your own chai mix from scratch or accessing all of tumeric's benefits by making "Golden Milk" excites your senses, then don't forget to signup for Oaktown Spice's mailing list. Q: What are your top 5 favorite spices/herbs to eat/cook with? Q: if your two favorite spices had a love child, what would it look like? A: Can you guess from the drawing? Q: What spice/herb would make an unusually appealing ice cream flavor? A: Salt-cured sumac berries - sour, salty berry flavor! Q: If your favorite spice was an actor/actress, who would it be and why?